Written assurances of ceasefire are required to start repairs. In the morning of 6 March, pro-Russian militants continued to shell the outskirts of Avdiyivka. The city remains without electricity, the head of the Donetsk regional military-civil administration, Pavlo Zhebrivskyy, has said on Facebook. 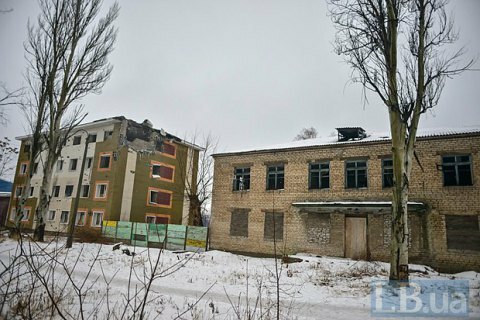 "Militants continue shelling the positions of our defenders, including the industrial zone of Avdiyivka. The city remains without electricity. As of 7.45 a.m., no written assurances of ceasefire were provided. The repair crew is ready to see to the damaged line as soon as the Russian side in the Joint Control and Coordination Centre issues a written assurance of cessation of attacks," the governor said. The local emergency service said that social facilities will be supplied with electricity from seven generators until the end of repair works. The centralized water supply in the city is also suspended, but there is a four-day reserve of water. The central heating system is maintained in operation by the local coking plant facility. The air temperature in the area is at 10 degrees C.
On 5 March, the 110 kV power line that supplies electricity to Avdiyivka and a part of Donetsk was damaged, cutting the city and the water filtering plant from power supply.